Facebook nowadays paying millions of dollars to security masters & experts to keep the privacy of their users secure. Therefore hacking facebook accounts is impossible by using direct methods like brute-forcing and dictionary attacks. 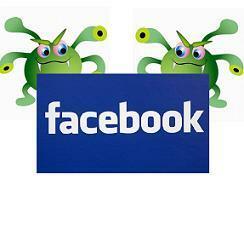 There are many method to hack facebook accounts like cookie stealing, phishing and keyloggers! But today I am going to make another article on facebook hacking and hijacking someone's account by victims's Account Recovery Method. 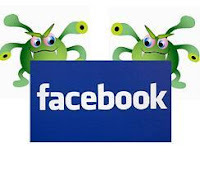 This method is latest and secure, however in this method you will learn how to hack facebook accounts using account recovery method.This Hacking Method is Known as reverting. 1) Make 3 facebook fake accounts and send request to victims, when your victim accepts the request of those accounts, then you should be able to follow below steps. 2) Once you will get the email put it in the login box. 3) Now goto Forgot password area. 4) Now they will ask you to enter alternate email, just enter a new one. 5) They will show victims e-mail address and will be ask mobile phone choose ''no longer access to these'' option. 6) Now the main screen would display, they will ask Security Questions, Make random guesses and they will redirects to main page of recovery. If you know the answers don't write them. 7) Now they will ask you to choose the best recovery option. 8) Hit continue, and choose three trusted friends option. And choose three friends, make sure 3 fake accounts should added to your victims id. 9) When You will choose those fake id's, facebook will send a security code to them, goto those accounts and receive the code and change the password.